SAN DIEGO - The Bureau of Alcohol, Tobacco, Firearms and Explosives (ATF) recently concluded a hybrid Fire-Dynamic and Post-Blast Investigative Techniques course. 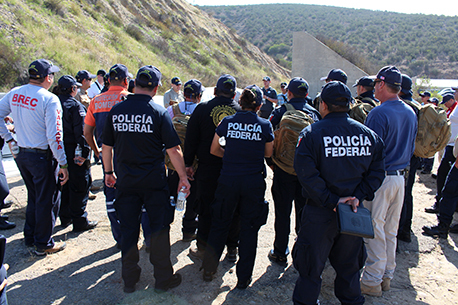 The weeklong course, demonstrating a systematic method of investigating fire and explosion scenes, was unique in its content as well as its student body of 65 firefighters and investigators representing federal, state and local public service agencies in Mexico. San Diego Fire-Rescue Department Chief Javier Mainar and San Diego Police Department Chief Shelley Zimmerman opened the weeklong event at the San Diego Regional Public Safety Training Institute (RPSTI). Chief Mainar brought 13 years of expertise in investigating similar events as a member of the Metro Area Strike Team to his role in welcoming the students. 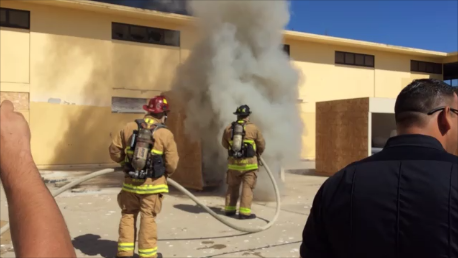 Throughout the course, actual fire and explosion scenarios were replicated in controlled environments available at the San Diego RPSTI. Students experienced the heat and destruction of burning rooms, and felt the blast wave of explosives scenes. They applied the systematic investigative methods learned in the classroom to identifying and documenting fire patterns; determining incendiary and explosive origins and causes; evidence identification, preservation, and collection; improvised explosive device component recognition and scene reconstruction and safety. ATF Acting Special Agent in Charge Brad Galvan said the course offered participants, "a good foundation they can use and take back to their own agencies to expand upon." That sentiment was echoed by Tijuana Fire Department Captain Joaquin Jimenez. 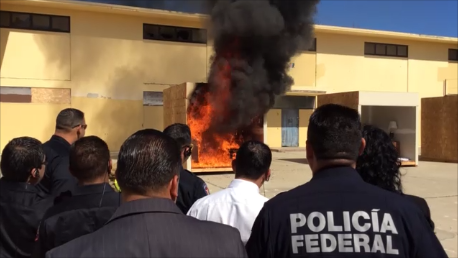 Captain Jimenez, his department’s primary arson investigator, was joined by more than 10 additional Tijuana firefighters and was pleased to have the opportunity to learn new techniques and team-based approaches, and said that he would "take the lessons learned here and share them with the department." future challenges and therefore help protect the lives and safety of the public and the people that work as first responders." 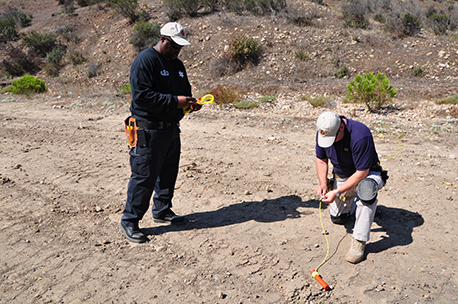 As the primary federal law enforcement agency leading arson and explosives investigations in the U.S., ATF provides a world-renowned curriculum in arson and explosives law enforcement training. In partnership with the U.S. Department of State, ATF international trainings bring law enforcement attendees from around the world in an effort to enhance the programs and infrastructure of the international investigative community. The training is provided at no cost to the participating agencies through the State Department’s Bureau of International Narcotics and Law Enforcement Affairs.